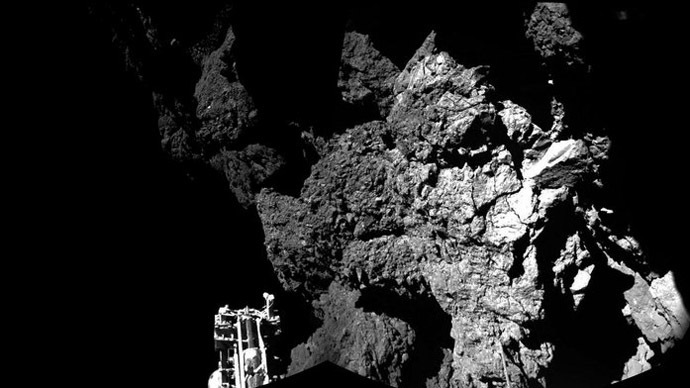 The Philae lander has managed to discover carbon-based organic molecules on a Comet 67P some 500 million kilometers from Earth before going into hibernation mode to preserve remaining power after extensive drilling on the surface and a rough landing. “COSAC was able to 'sniff' the atmosphere and detect the first organic molecules after landing. Analysis of the spectra and the identification of the molecules are continuing,” the German Aerospace Center (DLR) confirmed in a statement. 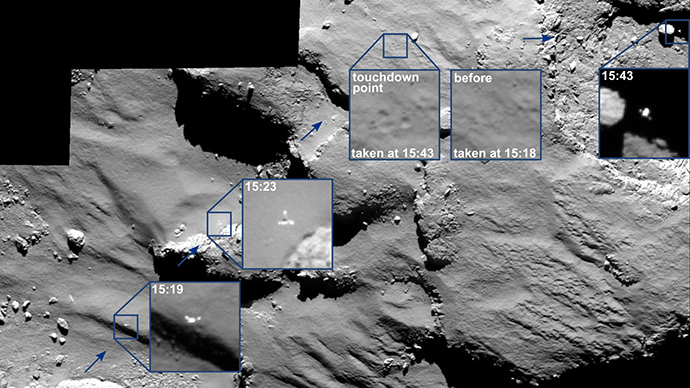 European Space Agency scientists are still interpreting the data the lander sent back after a 57-hour mission on Comet 67P/Churyumov-Gerasimenko. 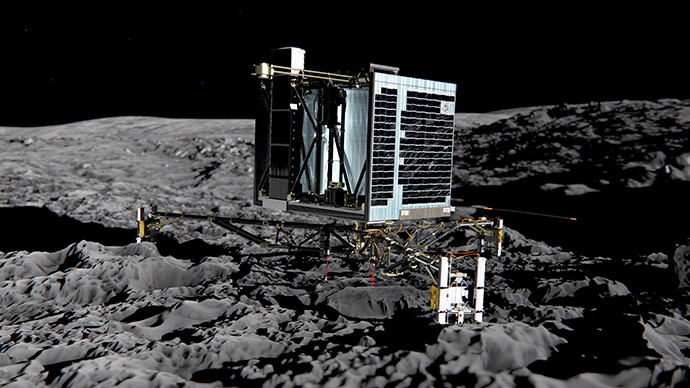 Before its primary battery died out, Philae was able to explore the comet using its 10 devices as the “mini laboratory sniffed the atmosphere, drilled, hammered and studied,” DLR said. “We have collected a great deal of valuable data, which could only have been acquired through direct contact with the comet. Together with the measurements performed by the Rosetta orbiter, we are well on our way to achieving a greater understanding of comets. Their surface properties appear to be quite different than was previously thought,” DLR’s director for the project, Ekkehard Kührt said. The European Space Agency (ESA) team found that the surface of the comet is “hard as ice,” which made it difficult for the lander to dig into the surface especially after a harsh landing. The drilling has been dubbed a 'tough nut to crack'. “The strength of the ice found under a layer of dust on the first landing site is surprisingly high,” says Klaus Seidensticker from the DLR Institute of Planetary Research. 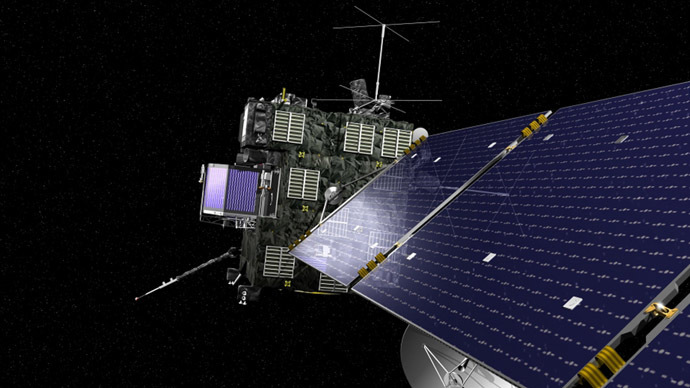 Philae landed on comet 67P/Churyumov–Gerasimenko after a 10-year journey through space aboard the Rosetta space probe. 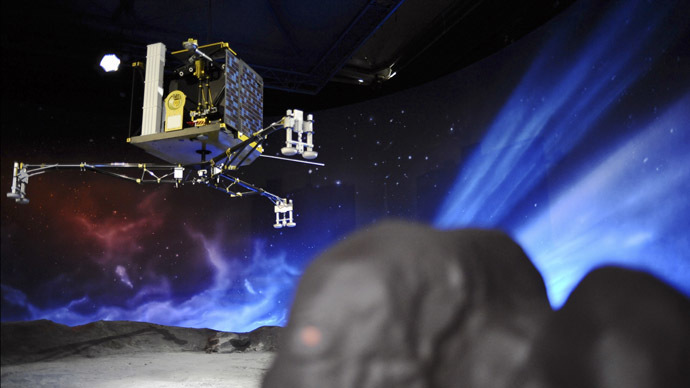 The lander's first attempt to touch down failed as it was unable anchor itself properly, causing it to bounce back into space twice before finally landing. 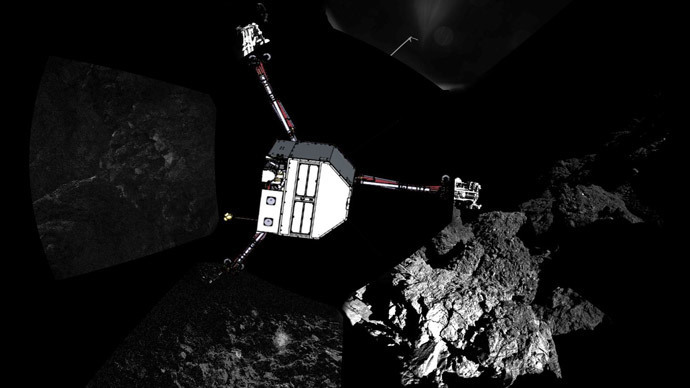 Once the rechargeable secondary battery is warmed by sunlight again next spring, Philae is expected to resume its work with ESA.